Date: 16 December 2013. Boat Presents. During this time of the year often friends ask what a boater needs. The most important thing of course is time. We all want and need more time. What we do not need is more Stuff. Goodness knows we have plenty of useless stuff. Dirt-dwellers seldom understand the lack of space for the extraneous, and though their heart is in the right place, well, sometimes their mind is simply missing in action. Storage considerations usually trump desire though any woman worth her sea-salt can of course find a storage spot for something she wants. And don't think the boys can't bring in another tool and disappear it into the bilges -- we are not alone girls! Aboard our 40'er a relative once gave us a set of glasses with gold trim. Beautiful if you want short fat gold-trim glasses with maple leaves on them, and please bear in mind we were in the tropics at the time of receipt. Of course they didn't stack either and because our friends were boaters too it wasn't like we could foist them off on a friend. Besides, friends don't give friends icky gifts. So you're wondering what a boater might want and be able to use, eh? That is a tough one. You're right to avoid Stuff. Goodness knows few of us need more "stuff" and yet there are always those things we'd like to have but cannot yet afford, or don't feel like expending the cash when another big ticket item is coming up. For the dinghy: A bilge pump, or a light, or a cup holder (for those with hard dinks, there's nothing like a place to stow the beverage) or maybe a square seat cushion that doubles as a flotation device. One (or more) of those new collapsible hoses that I've heard about. What is absolutely not needed nor wanted is another cute nautical motif anything! Honestly, not every boat is decorated in red, white and blue. Boat-show yachts go with that color scheme because it is expected by land-lubbers. Plus, out here we can usually find something far more meaningful than your mass-produced China bric-a-brac so please spare us. 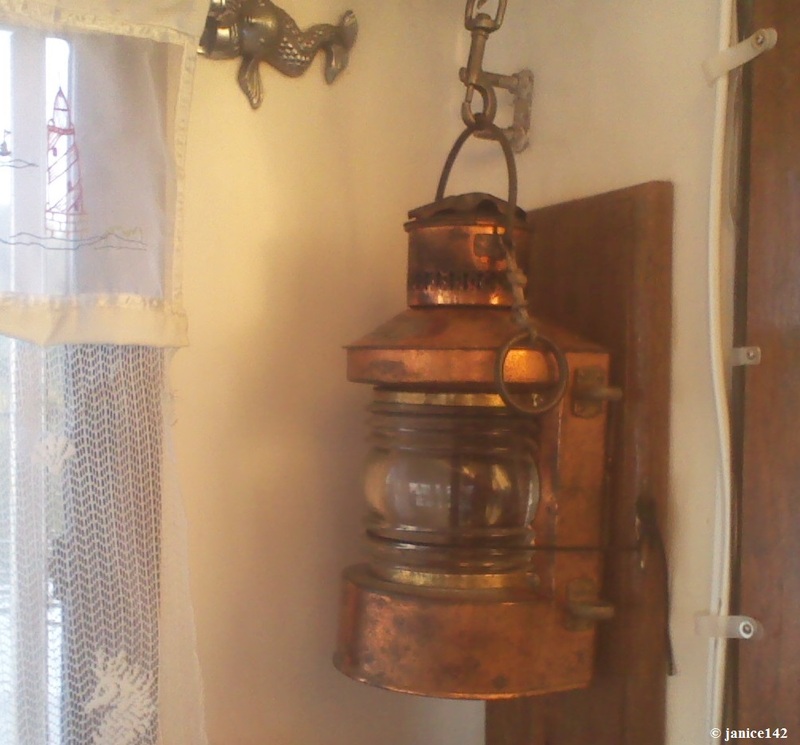 Now if you run across a lovely old brass oil lantern, we should talk. I have a thing for oil lanterns as you might have guessed from pictures of the interior of Seaweed! 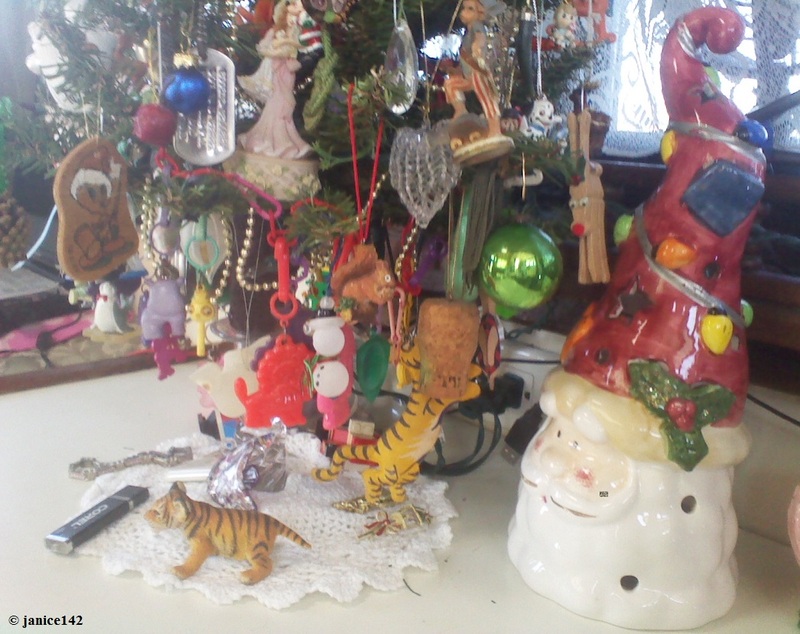 Good luck -- I hope Santa is good to you. Happy Christmas! What do you wish for Christmas? Is there a particularly great boat gift you've received/given? What was it? A favorite aphorism: Children will soon forget your presents; they will always remember your presence.